Part #1150 SPX Power Team Jaw Spreads, Spread (in.) 1 1/2-6". Adjustable jaws fit various diameters. CAUTION - These attachments may not withstand the full tonnage of the pullers they are used with. The shape and condition of the part being pulled affects the tonnage at which the jaws may slip off. 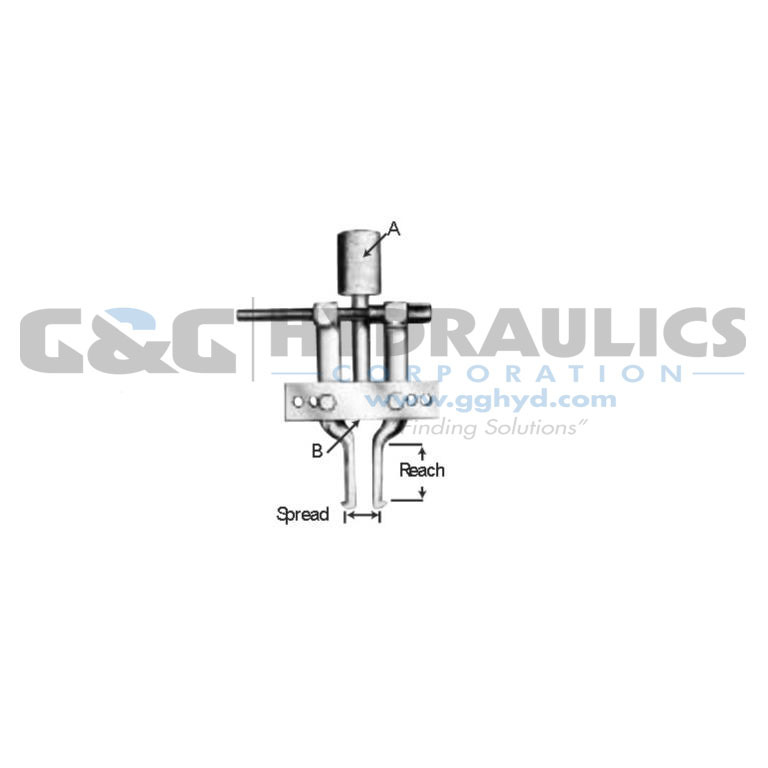 Always select the largest attachment which will fit behind the part being pulled. 1150 Use with Nos. 927 and 938 Push-Pullers, 4 lbs., 4 oz. 1150 1 1/2–6" 4" 1–14" 5/8–18"